SM Mall of Asia and I bring you another awesome concert ticket giveaway! 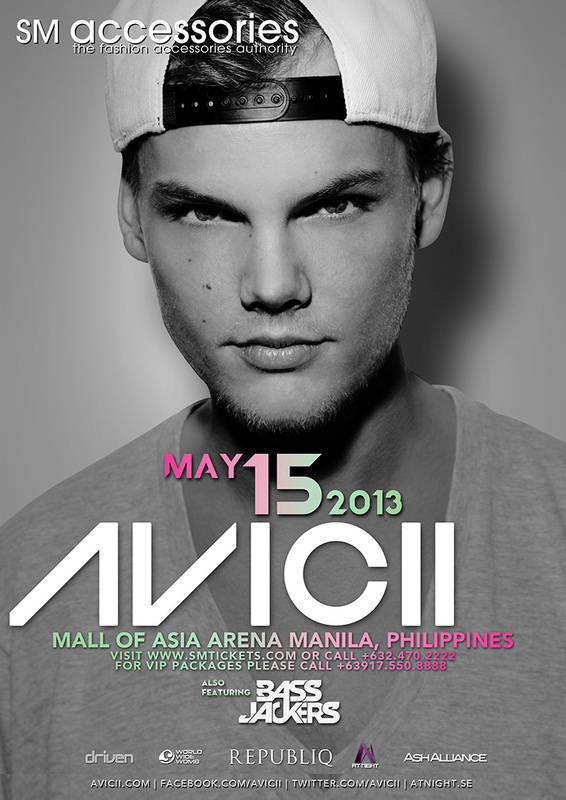 Who wants 2 Upperbox tickets to Avicii’s concert on May 15? Like SM Accessories on Facebook and follow @SMAccessories on Twitter. Leave a comment below with your name, Twitter name and email address. Deadline for entries is on Monday, May 12 at 11:59 P.M. The winner will be chosen via Random.org and announced here on the comments section below the following day. Needless to say, this contest is open to Philippine residents only. Just a friendly reminder, no multiple entries please. Good luck everyone! I can already hear the music!!! See you there!! On instruction 3 Ms. Camille, where do I leave a comment? in FB page of SM accessories or here? haha! Hope to win this!!! thankyou!